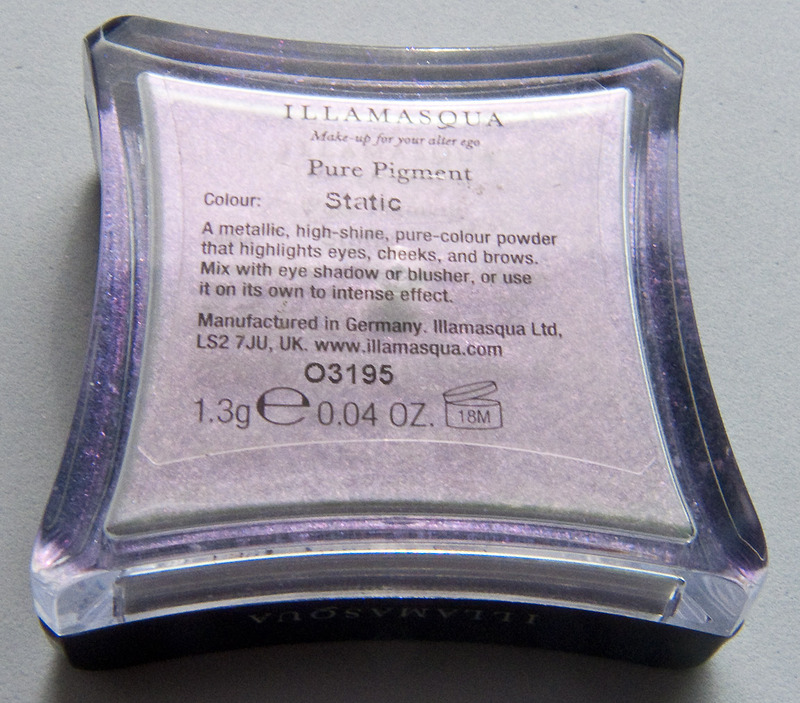 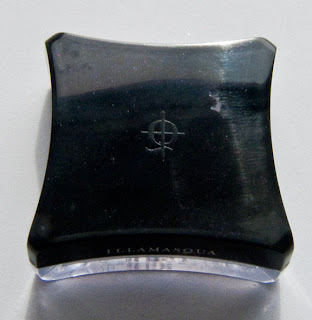 This is my first Illamasqua Pure Pigment I've tried. 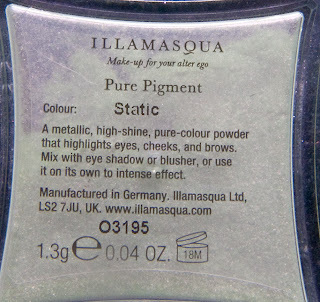 Retails for $25US / $31CAN / £16.50 for 1.3g 0.04 OZ of product. 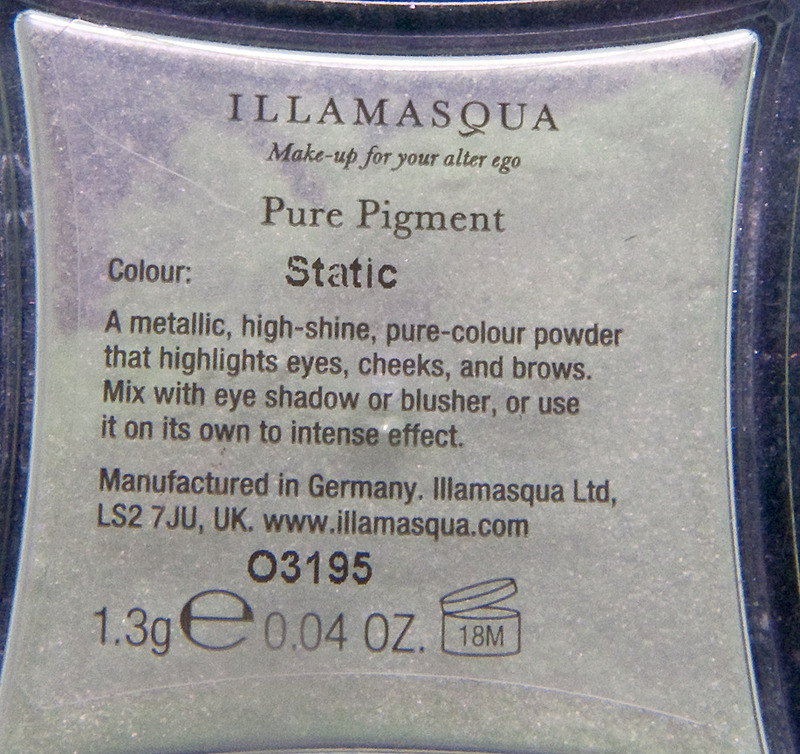 Static is iridescent pink shimmer with a clear yellow mylar base. 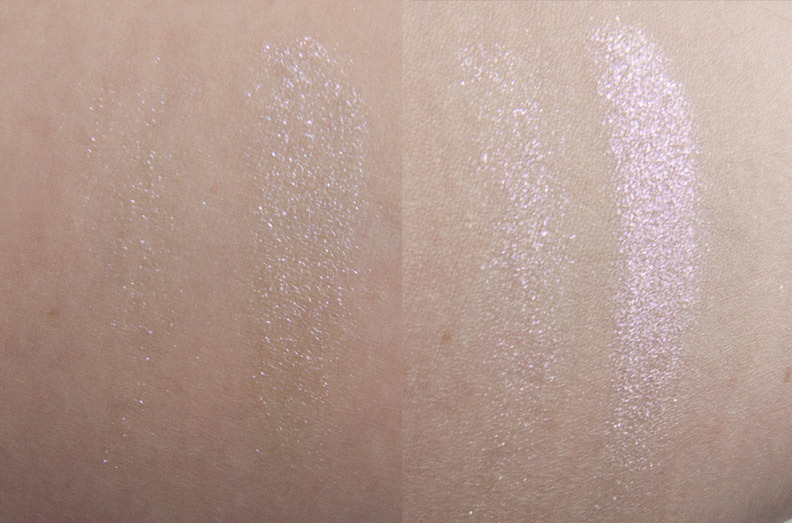 The texture is every similar to MAC PRO Reflect pigments but I feel like this one is chunkier. 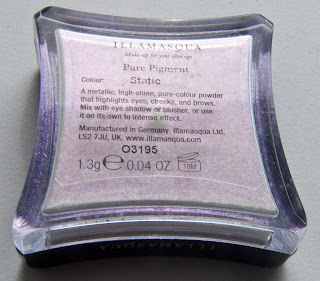 Wear: This product need a base/mixing medium other wise it flakes right off. Packaging: Glossy black compact jar lid with pug in the cap. 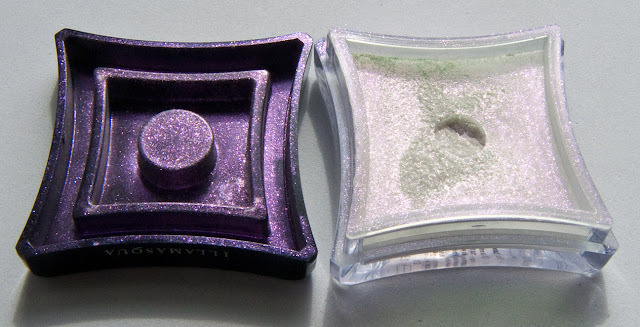 The plug however doesn't fit into the sifter hole nor completely cover/fill the gap so the product get messy quickly if you travel with this. 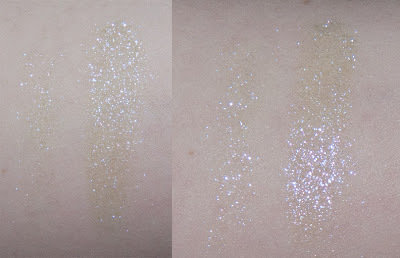 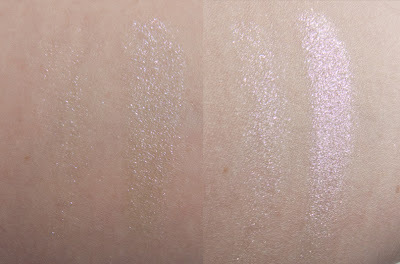 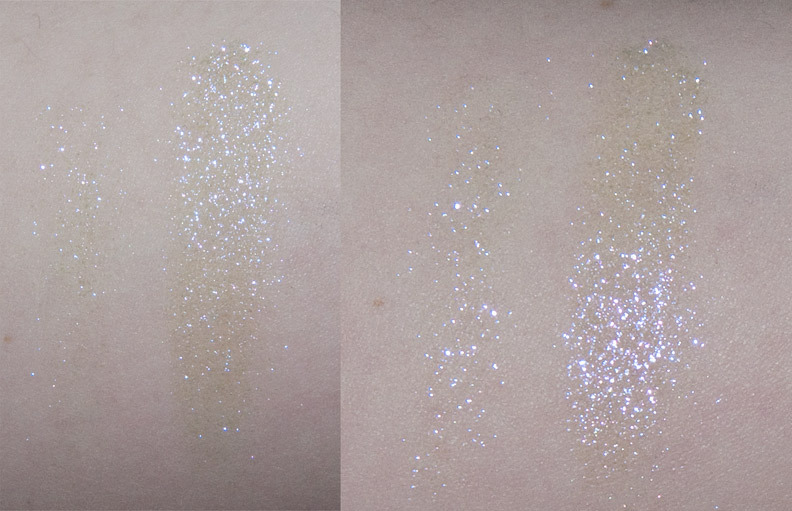 It's a cool effect that is more on the Glitter end of shimmer but the translucently is what makes this flattering over other products.